JOIN US OCTOBER 20, 2018! 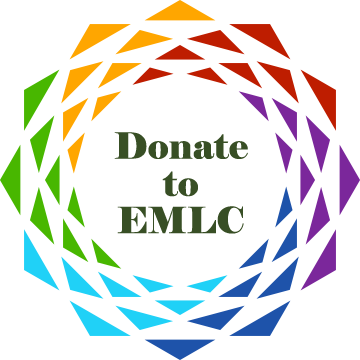 Your $45 donation to EMLC entitles you to THREE (3) 20 minute sessions with our psychics and healers. RSVP to reserve your spot. A limited number of time slots will be available. Pay securely ahead of time via PayPal, and let us know which types of services you’d most like to receive from the options offered by our psychics. Refreshments will be served. Bring your spirit of curiosity! And feel free to dress in your favorite witchy-inspired garb! Allergy Warning: if you are allergic to cats, dogs, and other witch’s familiars, please be sure to take whatever methods are necessary for you to fully enjoy our event, as familiars will be present. TAROT A tarot reading from an experienced witch. Lady Bridget is great with answering questions with her cards! FAERY KEY STONES Using the Faery Key Stones, Canu will give you insights into your questions and possible outcomes. CRYSTAL HEALING Our Crystal Maven Cat will use her certified Crystal Healing techniques to heal what ails you. MASSAGE Let Coyote, a licensed massage therapist, work out some aches for you. REIKI Allow yourself to be embraced by the Reiki energies of Amber. RUNES The runes pierce the veil to provide answers to your questions when in Kasha’s capable hands.